Two servings of fish a week may be enough to lower the heightened risk for blindness that those with diabetes face, a new Spanish study suggests. Diabetic retinopathy is a serious complication of type 2 diabetes resulting from a drop-off in blood supply to the patient’s retina. According to lead researcher Aleix Sala-Vila, it is the most frequent cause of diabetes-related blindness. “We wanted to [see] whether regular consumption of seafood -- fatty fish in particular -- in the absence of any advice to increase seafood consumption or fish oil supplementation decreased the risk of diabetic retinopathy,” explained Sala-Vila, a researcher at the Centro de Investigacion Biomedica en Red in Barcelona. Sala-Vila’s team focused on patients whose overall diet was already composed of mostly low-fat or plant-based foods. 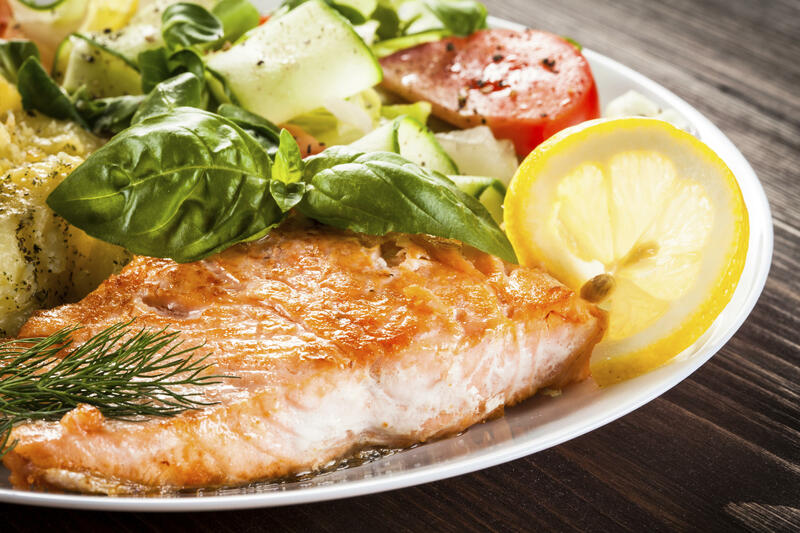 That said, the team found that those who consumed at least two servings of fatty fish weekly had a lower risk for diabetic retinopathy than those whose diets included less fish. The first followed a low-fat diet. The second followed a Mediterranean (plant-based/red meat-free) diet​, supplemented with extra virgin olive oil. And the third also followed a Mediterranean diet, supplemented by 30 grams a day of omega-3 rich walnuts, hazelnuts, and almonds. That study found it was those in the second group who saw their vision​ risks fall. Working with the same pool of participants, Sala-Vila’s team then asked about 3,600 diabetic men and women between the ages of 55 and 80 to report how often they consumed eight types of seafood before embarking on their assigned diets. Once on their diets, Sala-Vila’s team tracked seafood consumption habits for nearly five years. Sala-Vila also cautioned against interpreting the findings to mean that omega-3 supplements do the trick as well as eating fish​ did. Lona Sandon, an assistant professor in the department of clinical nutrition with the school of health professions at UT Southwestern in Dallas, said, “Fish oil supplements appear to be safe,” but there are no substitutes for omega-3 rich foods.